Since many years Midland offers portable VHF marine radio’s. Most of their models looked like cheap PMR446 radio’s. 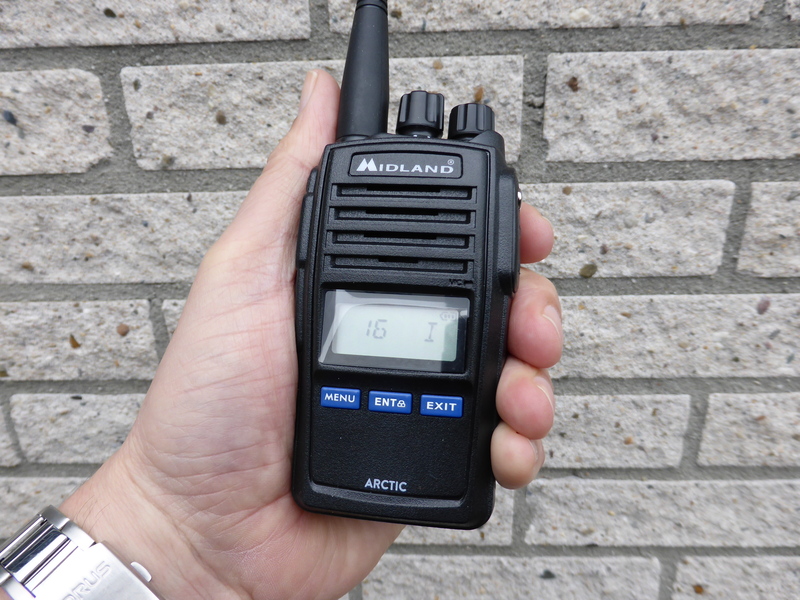 The new Midland ARCTIC has the look and the feel of a real professional VHF marine radio. With a consumer price around Euro 150 -175 we think there is a good market for Midland. The only comment I have is the lack of ATIS. In The Netherlands and some other European countries ATIS is a ‘need’. Now the sales market is limited to those countries that do NOT have a need for ATIS and for boats with international vhf marine use. ◾ ARCTIC is the new handheld marine Transceiver able to satisfy the Communications Requirements for all types of Navigation. ◾ ARCTIC is an Electronically advanced equipment that enables clear and reliable communications on the 57 International Channels of the VHF Nautical Band. ◾ Rugged and with professional design, it boasts a metallic chassis that guarantees max robustness and the IP67 certification: total protection from dust and from the immersion in water up to 1m depth for 30 minutes. ◾ It offers security thanks to the dedicated button “16” that gives instant access to the emergency channel 16. ◾ Amongst the various features of this radio we emphasize the Dual Watch and Triple Watch to monitor 2 or 3 channels of your choice, the setting of the priority channel that will be monitored in the Triple Watch function and the squelch adjustable in 10 different levels. ◾ The LCD display and the backlit keypad allow to use the radio also in darkness or poor visibility conditions. For a better efficiency, ARCTIC is supplied with a Li‐Ion 1600mAh battery pack. ◾ Thanks to the optional programming software PRG‐G15, it is possible to manage and program some functions such as the operating band, Power save, VOX, channel scan, voice announcement, private channels and many others. ◾ For extra EU market only: besides the international band, ARCTIC is featured with the USA and CAN (Canada) bands. ◾ Instant access to the Emergency Channel 16. ◾ Dual Watch and Triple Watch. ◾ Li‐Ion 1600mAh Battery Pack. ◾ Backlit LCD Display and Keypad. ◾ External Jack: 2Pin Motorola Type. ◾ Weight: 240 gr (with Battery). ◾ Dimensions: 54 x 113 x 35mm. ◾ Audio Accessory Jack, 2-Pin, Motorola Wiring. 1 Pc of Li‐Ion 1600mAh Battery Pack. 1 Pc of Desktop Charger. 1 Pc of Wall Adaptor. 1 Pc of User Manual in English and German. This entry was posted in Midland, Transceivers Marine and tagged Arctic, midland, Piet Evers, VHF Marine. Bookmark the permalink.